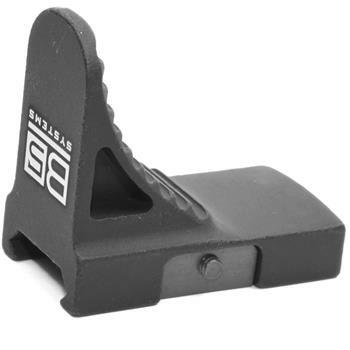 The B5 Systems GripStop Mod 2 is a forearm accessory designed to fill the role of a hand stop, vertical grip, and barrier stop. The GripStop Mod 2 optimizes ergonomics and aids hand placement and weapon manipulation. The GripStop Mod 2 mounts to all Milspec 1913 Picatinny rails. Constructed of aircraft grade aluminum with Milspec Type III anodized finish.